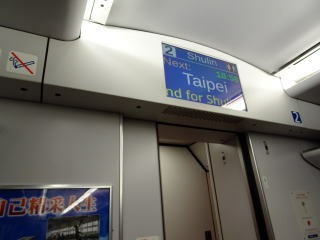 (L) Interior of the business-class vehicle (M) Electric bulletin board shows the train is now arriving to Taipei Station. 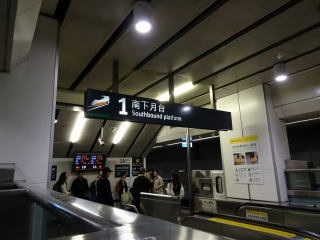 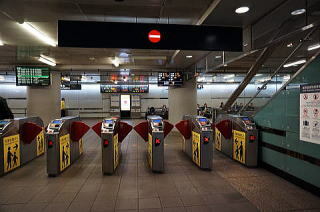 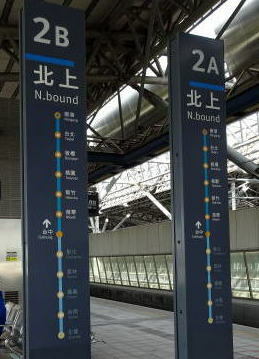 (L) A guidance board shows the south-bond platform is downstairs. 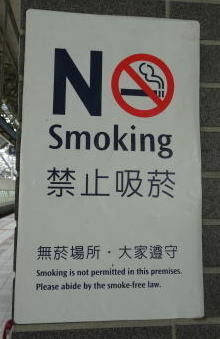 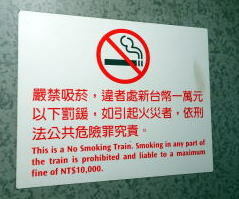 (M) Smoking in any part of a train is prohibited in a train, and liable to a maximum fine of NT$10,000. 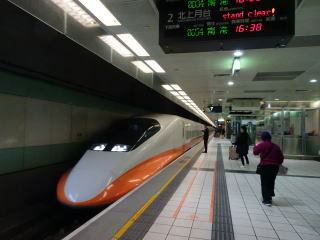 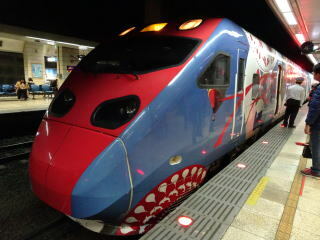 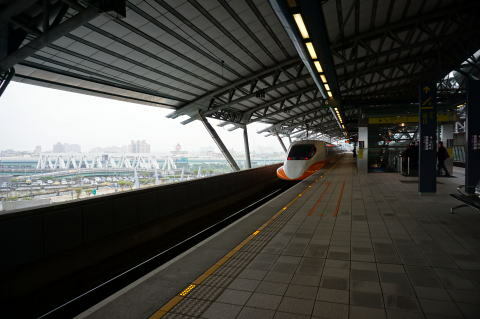 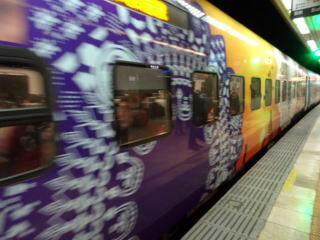 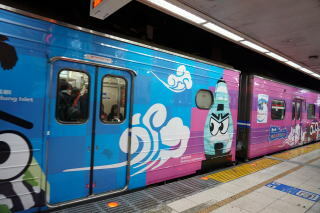 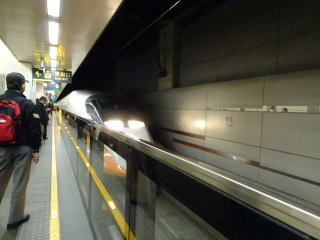 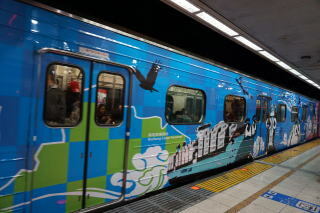 (R) THSR train arrived in Taichung Station. 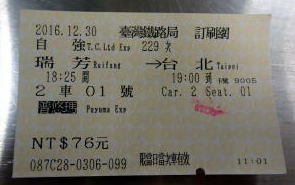 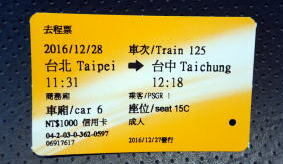 (L) A ticket of THSR (R) A train is leaving from Taichuung Station. 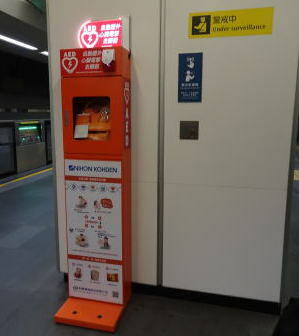 (L) A guide plate of stations of Northbound train (M) A general trash box and recycled trash box (R) It said, please abide by the smoke-free law. 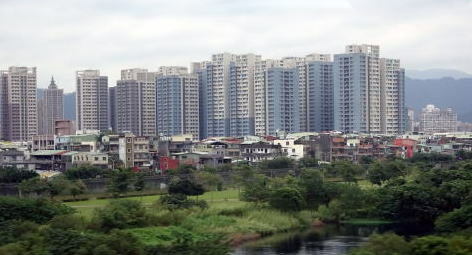 (L) Taichung City view from a train window (R) In-car attendant: A free tasty cookie and tea or coffee is served to a passenger in a business-class vehicle. 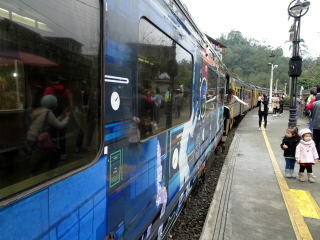 (L) An express train to Ruifang and beyond Ruifang (M)(R) Inside of a car is densely packed with passengers at Ruifang Station. 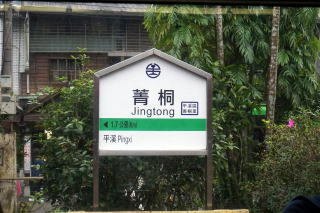 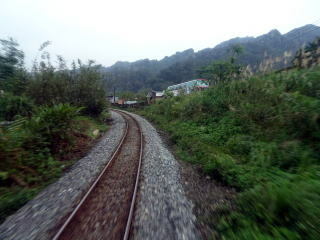 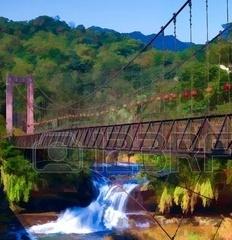 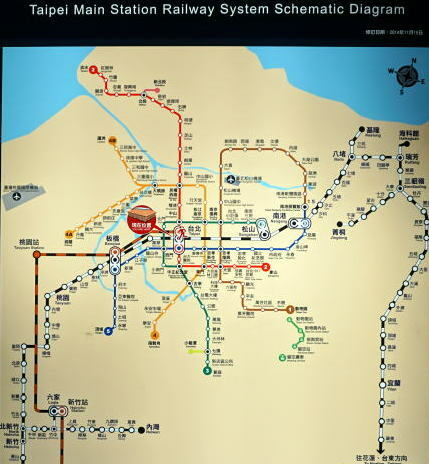 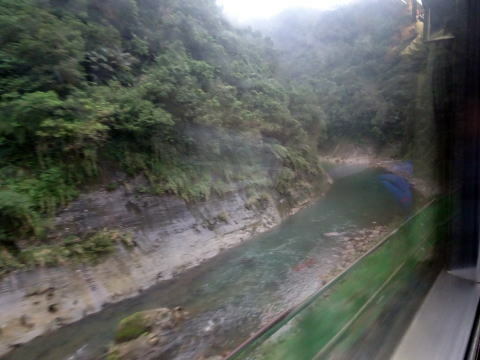 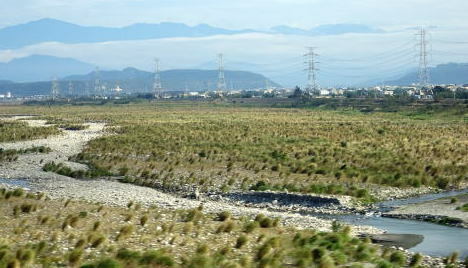 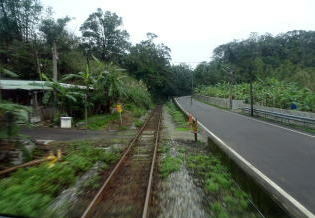 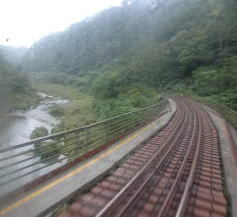 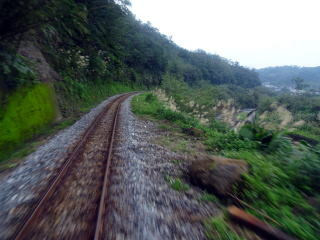 The Pingxi Line is a 12.9 km long, single-track railway. 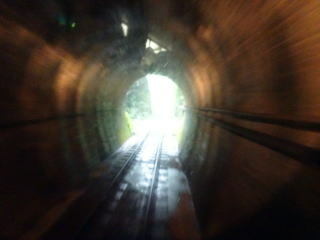 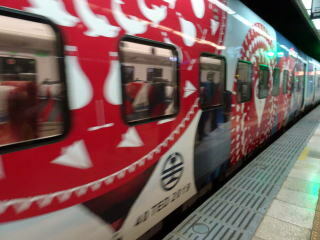 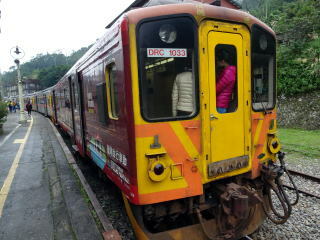 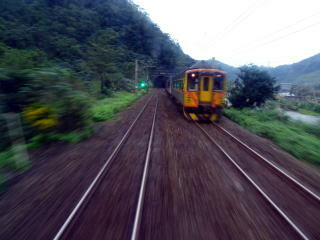 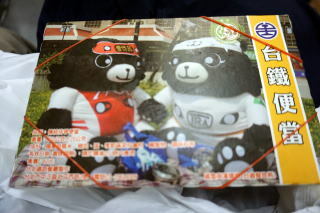 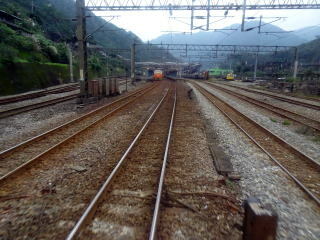 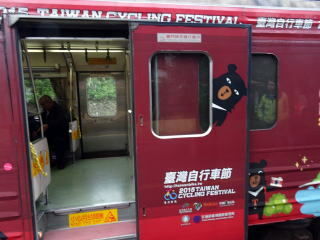 It runs between Ruifang and Jingtong. 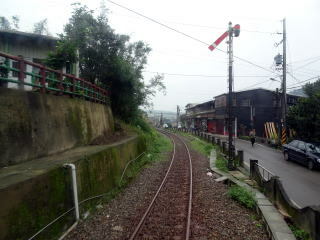 (R) Shifen's waterfall seen from a railway track. 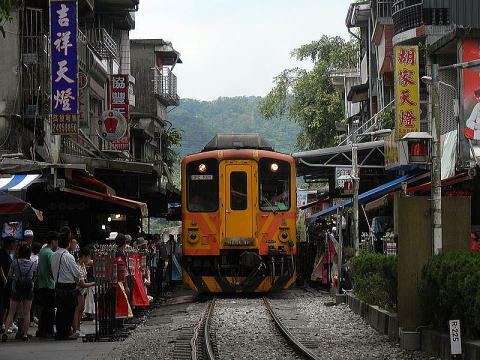 (L) A train of Pingxi-LIne is running through the center street of Shifen. 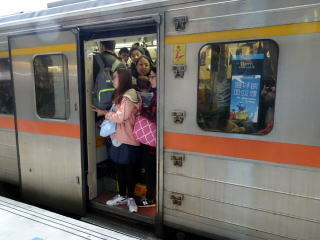 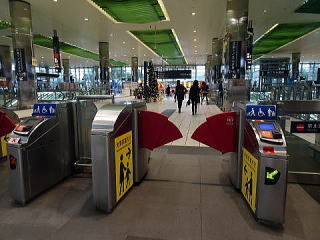 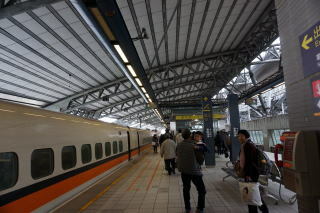 (R) So many train passengers are crossing the platform of Shifen Station. 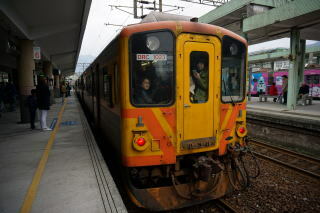 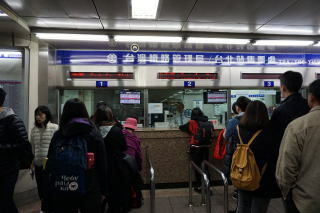 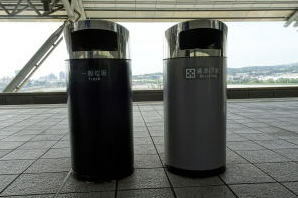 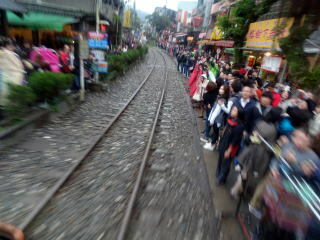 (L) Many tourists at a platform are waiting for the local train is arriving to Shifen Station. 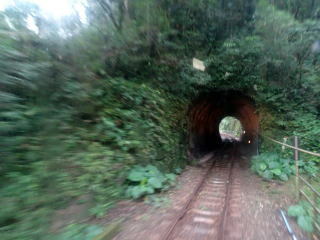 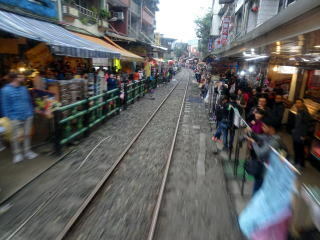 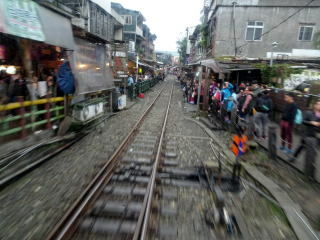 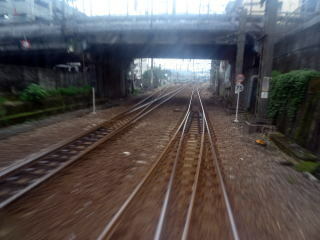 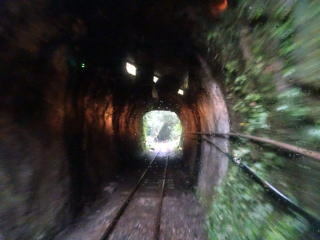 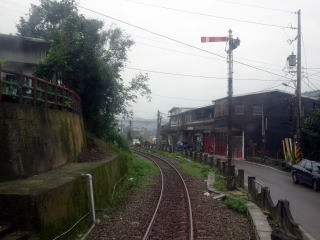 (R) The sideway of railway track is full of crowds. 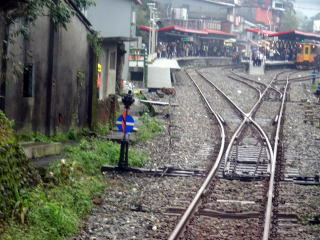 (R) Turnout of which main line is straight and another line branches-off to the left. 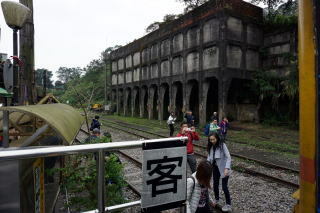 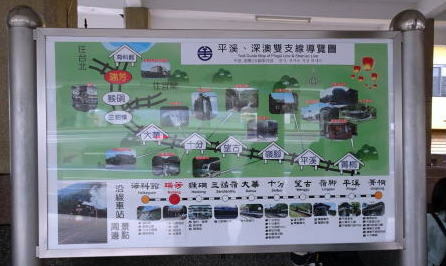 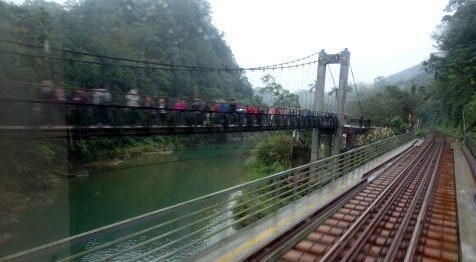 The place of railroad near the Shifen Station is filled with tourists. 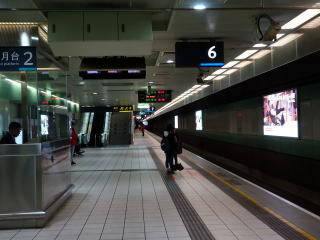 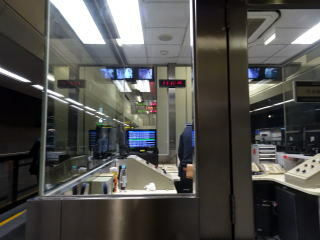 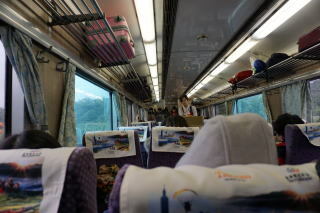 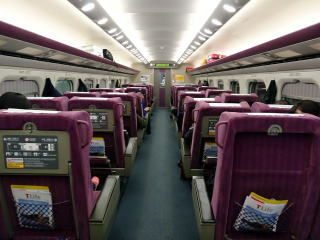 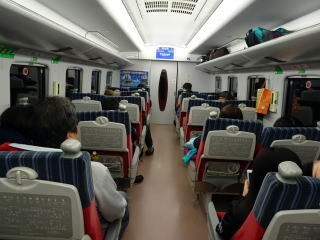 (L) Interior of the limited express train for Taipei (R) A train stops at Taipei Station.